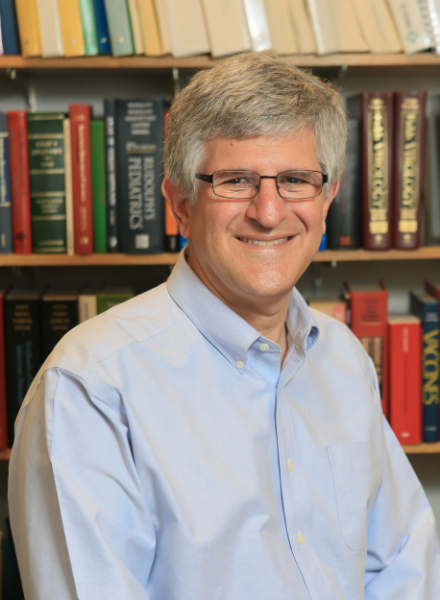 Scientific illiteracy in the United States has given way to an epidemic of "scientific denialism," said Dr. Paul Offit, a well-known pediatrician, in a recent talk at the American Association for the Advancement of Science. As people declare their own truths — climate change is a hoax, or evolutionism and creationism are equally valid hypotheses — scientists have an increasingly crucial responsibility to hone their public engagement skills, Offit said. Offit directs the Vaccine Education Center at the Children’s Hospital of Philadelphia and is a professor of vaccinology and pediatrics at the University of Pennsylvania’s medical school. He invented a rotavirus vaccine that the Centers for Disease Control and Prevention now recommends for universal use in infants to protect against diarrheal disease and has published more than 160 scientific papers over his career. However, his October 30 talk, the latest installment in AAAS’ monthly series of public lectures, focused on what he is perhaps best known for: science communication. In detailing lessons learned over the years, Offit began with an example close to his heart as a vaccinology researcher. In 1998, Andrew Wakefield, a former physician, published a paper purporting that the measles, mumps and rubella vaccine causes autism. The study, which was based on a sample size of 12 children, has since been retracted, and 17 subsequent studies have shown no association between the MMR vaccine and autism. Offit continued to draw from his well of science communication lessons. Rather than being deterred when people cite past scientific consensuses that were later updated, emphasize the benefits of the mutable, self-correcting nature of science. Rather than attempting to answer the unanswerable question, calmly make your point, he advised.Rather than responding with anger and condescension to the person in front of you, Offit said, focus on the other people your response will reach. As a practicing physician, the topic is particularly difficult. Offit recently had to watch as a family decided not to vaccinate their child at two, four, and six months of age. At 11 months, the baby became infected with a strain of pneumococcus that caused meningitis. The child’s brain pressed down on his brain stem, a life-threatening side effect known as a brain herniation. Offit and his colleagues saved the boy’s life, but the child will never see, walk, speak or hear again. Offit sees science communication not as an extracurricular activity but an essential part of his job. After all, there are plenty of governments around the world, now and in the past, that would not devote taxpayer money to the National Institutes of Health, where he worked for more than 25 years.